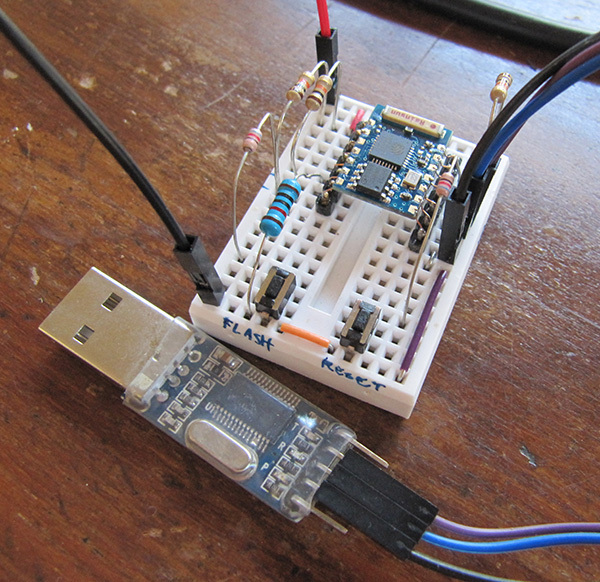 Here is my method of mounting esp8266‘s, specifically ESP-03 on a breadboard without the use of a breakout board. Details inside. 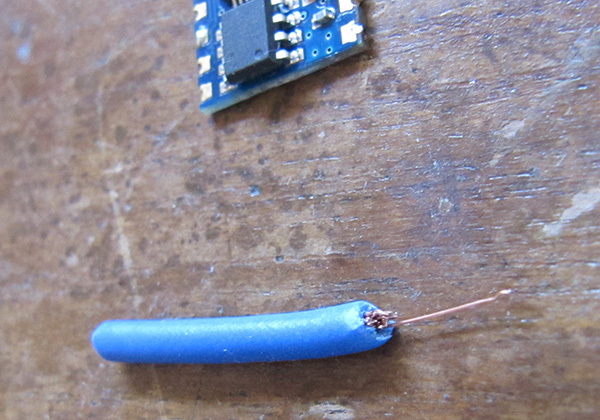 First, find some 110/220V wire and cut a piece of it off. and then, the rest of them. 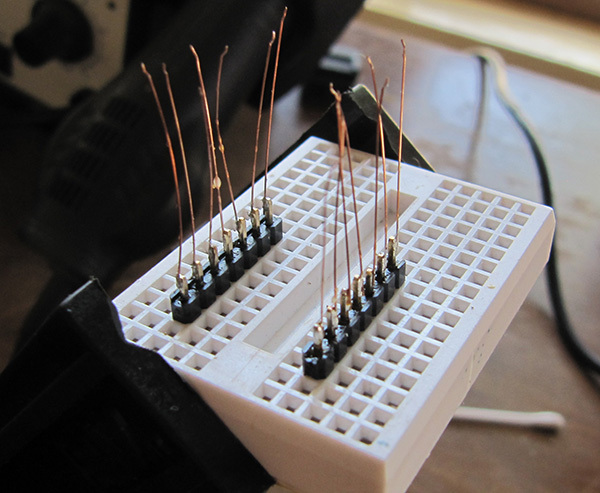 Tack on your ESP-03 by one of the strands. Recommended: first connect pin 4 out of 7 with slot 4 out of 7. In the middle, basically. Now solder in the other side, again beginning from the center. But we are not done yet. 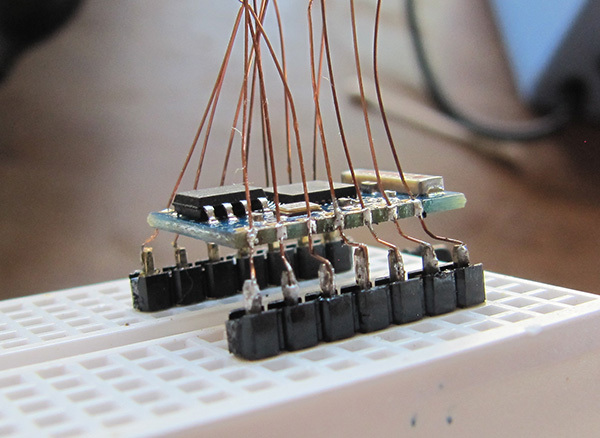 Now, we have wire up the chip. Use the following schematic. 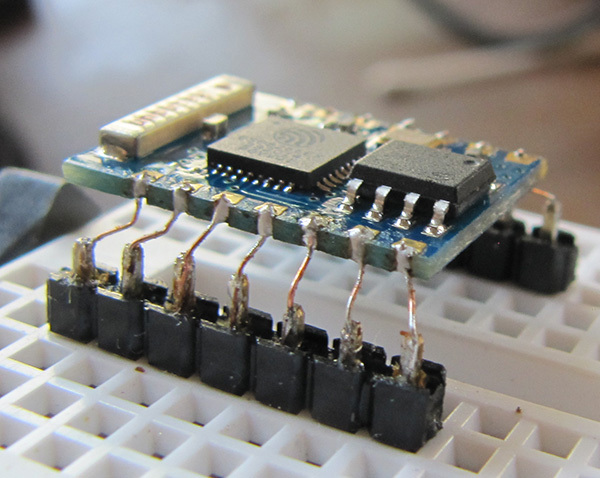 I originally saw it in this thread on esp8266.com. Hat tip to mano1979. 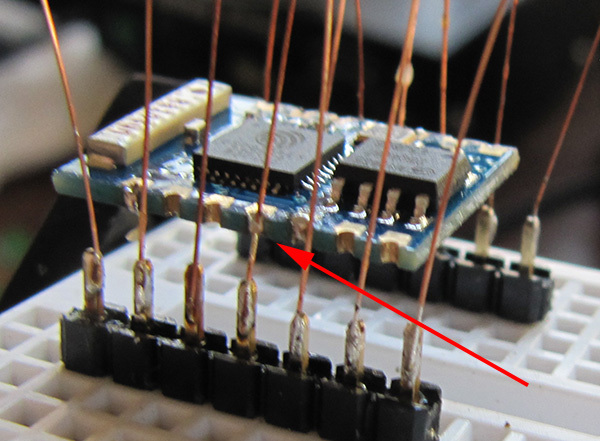 The observant reader is probably screaming at me right now that that not all of those pins in the schematic above are available in on the ESP-03, and indeed the schematic shows ESP-07, but don’t mind those other pins – we’re not gonna use them anyways. 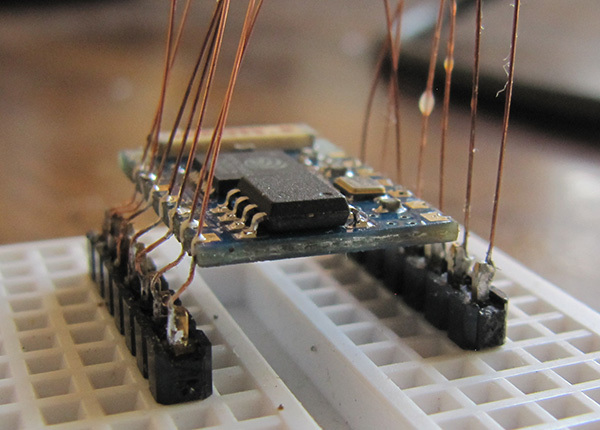 Just connect the used pins as they are located on the ESP-03. 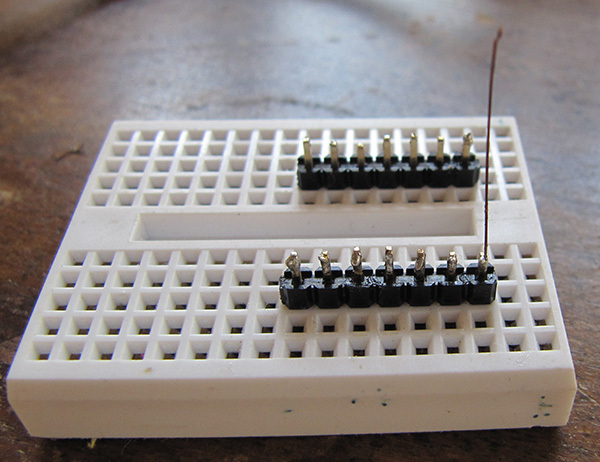 In place of 15K resistors you can use 10K.